From Sacramento: Take Hwy 99 South to CA-4 East to Main St in Copperopolis (turn right). Follow O’Byrnes Ferry Rd to CA-108 (left) to CA-120 (next right) into Groveland. 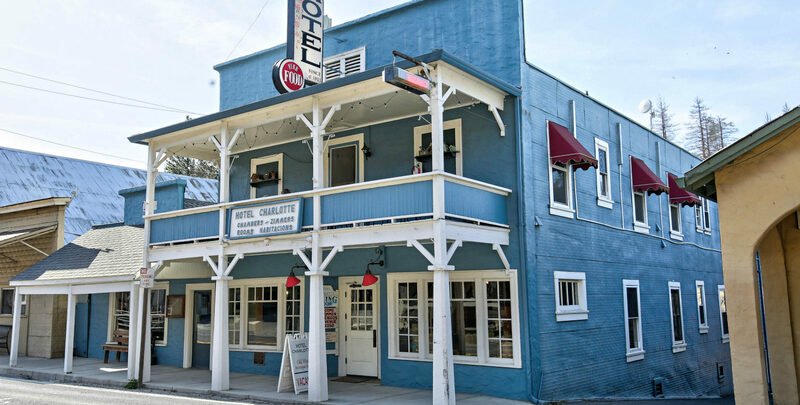 Once in Groveland, the Hotel Charlotte is located on the left side of CA-120 and is a blue hotel. Access to the parking lot is just beyond the hotel on the left.